As promised in our last post on why you cannot become a successful investor, we now share 25 tips to help you become a better investor. For sharing the tips, we have chosen the manifesto approach. Don’t know what a manifesto is? 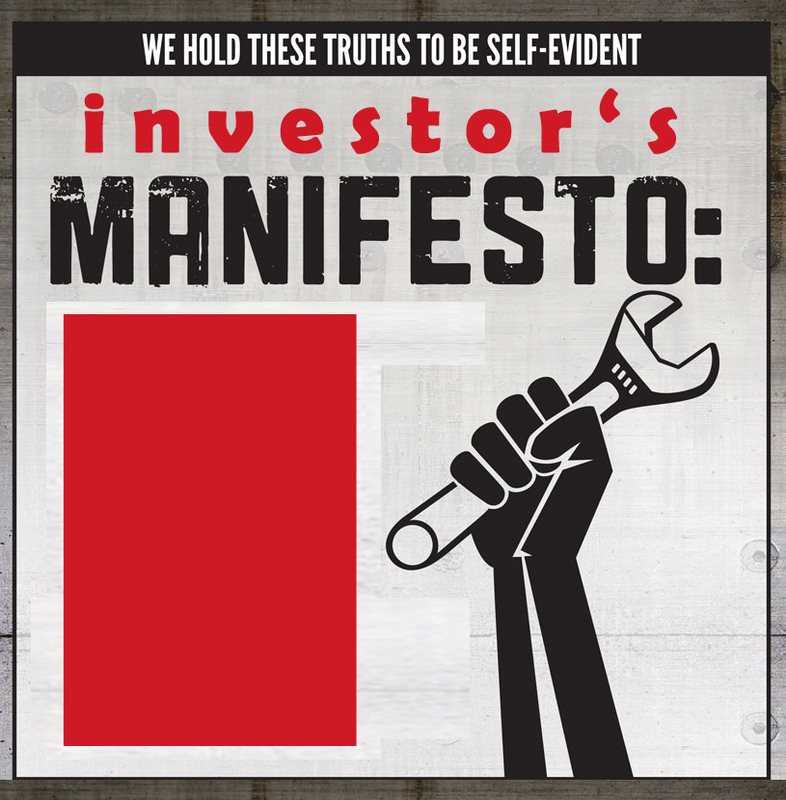 A manifesto is a written public declaration of intentions, motives, or views of the issuer. Now your manifesto can be different from ours, as long as it helps you achieve your financial goals and forces you to use common sense when dealing with money. Before I start investing in stock markets, I will create an emergency fund to cover 3-6 months of my family’s expenditure. I will make sure that I am adequately insured. I will not mix insurance with investments (No ULIPs for me). I will not invest in stocks before I have paid out my high interest debts. I will not try to beat the markets as I know that markets are supreme. I understand that when investing in stock markets, risk of being wrong cannot be eliminated. But it can be managed by means of diversification and holding stocks of good companies. If I am starting my investment journey, I will stick to well-diversified equity mutual funds. When investing in mutual funds, I will follow disciplined approach of systematic investment. I understand the power of compounding and would make sure that interest and dividends earned are reinvested. I understand that over time, those who choose the buy-and-hold method outperform those who trade frequently. I will customize my investment style in accordance with my personality and risk appetite and then follow it diligently. I will give proper structure (core-satellite approach) to my portfolio. I believe that I am an average investor and therefore, I will try to find good and stable dividend paying companies to add to core of my portfolio. I will buy only those stocks which I am ready to hold for next 10 years. I understand that checking my portfolio on daily basis is unnecessary and a waste of time. As long as fundamentals of the company have not changed, daily price fluctuations shouldn’t bother me. I understand that one rupee invested tomorrow is not worth nearly as much as one rupee invested today. I will learn from stock market history and get used to simple tools of measuring stock market valuations. I will use these tools to know whether markets, in general are under or over-valued. Every now and then, markets will put great stocks on sale, i.e. Good stocks would start selling at huge discounts. I will be ready with a watchlist of stocks, which I will be willing to buy at distressed prices. Over time, I will develop my own sets of rules to manage my investment portfolio. If I am investing in Index Funds, I will understand the importance of tracking PE multiples for benchmark indices. I will always have some Cash so that in times of Crisis, I can show a little Courage and buy stocks at dirt cheap valuations. I will remember God in good times and Equities in bad times. While investing, I will be fearful if others are greedy and greedy if others are fearful. I understand that if stock market experts were really any good, they would be buying stocks and not selling advice. This forces me to question what they say and do my own due diligence when making investment decisions. Previous Entry You cannot become a Successful Investor! Next Entry Cairn India: A dividend stock to buy for long term?